2020 Sailings Open for Sale Until April 30, 2019! AmaWaterways provides all-encompassing river cruise vacations on the most breathtaking waterways. When you sail with AmaWaterways, you will experience the luxury of more – more ways to discover, more ways to indulge and more onboard amenities. With an award-winning fleet, critically acclaimed dining and your choice of unique excursions, you will have the trip of a lifetime. 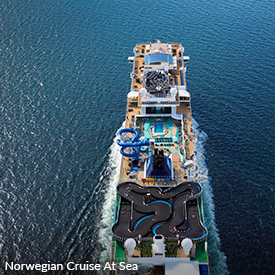 Only Norwegian Cruise Line gives you the freedom to vacation with no set schedule, so you are free to dine, dance, laugh, explore and relax on your own terms. Do what you want, when you want., because it’s your vacation! 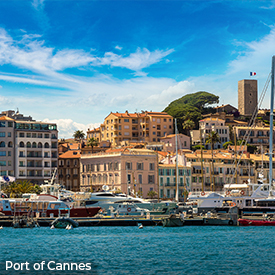 Plus, enjoy a compact car rental for as low as $262 in Marseille, Montpellier and Nice. Immerse yourself in an intimate vacation experience that integrates holistic wellness with unrivaled luxury and Endless Privileges®. From the stunning Riviera Maya to the Dominican Republic and Jamaica, each Zoëtry Wellness & Spa resort features elegant accommodations, healthy gourmet cuisine and calming spa treatments that nourish the body and awaken the senses. Offering the utmost attention to detail, these resorts boast unmatched luxurious accommodations, filled with unique design elements in finely appointed suites with exceptional views. AmaWaterways Terms & Conditions: Save up to $1500 per stateroom offer is valid on new individual bookings for select 2020 sailings. Not combinable with other offers or group bookings. Offer is subject to availability; capacity controlled and may be withdrawn at any time without notice. Other restrictions may apply. 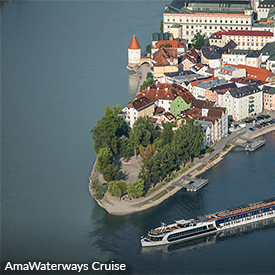 All references to AmaWaterways are: © 2019 AmaWaterways. All rights reserved. Ships’ Registry: Switzerland. 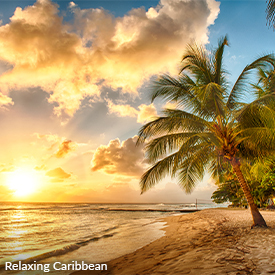 For full terms and conditions, contact your travel agent. France: Prices and availability are subject to change without prior notification and were available on Feb 25/19. Black-out dates and restrictions apply. Hotels taxes are included in the accommodation pricing. Discounts are reflected in the advertised rates. Surcharges may apply. Not included: transfers or car rental. * Book Early & Save up to 20% offer is valid on new bookings now- June 26/19 for select travel periods and room types with a minimum stay of 4 nights or more. Please note there is a government imposed local city tax of 2 euro per person/ per day is payable upon check in. Sample price is in Canadian Dollars based on a 7-day rental from July 4 - 11, 2019, basic plan in compact category and was available at time of print; February 25, 2019. Rate includes unlimited mileage and third-party liability insurance up to the countries required minimum and includes VAT tax. Rental excludes LDW (Loss Damage Waiver) and coverage for personal injuries to driver or passengers. Optional coverage is available through TravelBrands or may be offered locally for an additional fee. All additional taxes, fees (including but not limited to Air Conditioning Excise Recovery Fee, Concession Recovery Fee, Vehicle License Recovery Fee, Energy Recovery Fee, Tire Management Fee, and Frequent Travel Program Fee) and surcharges (including but not limited to Customer Facility Charge and Environmental Fee Recovery Charge) are extra. Refueling is extra. Client is advised to return the vehicle with a full fuel tank and to retain copies of fuel receipts. Exception: Pre-paid fuel option, in which case, vehicle should be returned as empty as possible (no refund for unused fuel). Local toll, highway fees, or travel stickers required by local authorities are extra. Optional items/services purchased locally are subject to local taxes and fees.